DEWALT DC9071 Power Tool Battery Replacement Type: Ni-Cd Volt: 12V Capacity: 1700mAh Color: Yellow Weight: 765.45g Dimension: 94.15x80.36x106.85mm Please go to buy this battery now http://www.drillbattery.com.au/buybattery.php/dewalt_DC9071_power+tool+battery. PANASONIC EY9136 Power Tool Battery Replacement Type: Ni-Cd Volt: 15.6V Capacity: 2000mAh Color: Grey Weight: 812.5g Dimension: 105.27 x 80.97 x 51.98mm Please go to buy this battery now http://www.drillbattery.com.au/buybattery.php/panasonic_EY9136_power+tool+battery. HITACHI BCL1430 Power Tool Battery Replacement Type: Li-ion Volt: 14.4V Capacity: 3000mAh Color: Black Weight: 550.3g Dimension: 101.70 x 75.90 x 108.60mm Please go to buy this battery now http://www.drillbattery.com.au/buybattery.php/hitachi_BCL1430_power+tool+battery. AEG BSB 14 STX Power Tool Battery Replacement Type: Ni-Cd Volt: 14.4V Capacity: 2000mAh Color: Black Weight: 807.45g Dimension: 129.50 x 77.84 x 72.85mm Please go to buy this battery now http://www.drillbattery.com.au/buybattery.php/aeg_BSB+14+STX_power+tool+battery. Brand New Cordless Drill Battery for RYOBI BPL-1820G Type: Li-ion Volt: 18V Capacity: 3000mAh Color: Black Weight: 765.7g Dimension: 135.70 x 76.00 x 107.30mm Please go to buy this battery now http://www.drillbattery.com.au/buybattery.php/ryobi_BPL-1820G_power+tool+battery. METABO BS 18 LTX Power Tool Battery Replacement Type: Li-ion Volt: 18V Capacity: 3000mAh Color: Black Weight: 669.15g Dimension: 123.05 x 80.35 x 67.00mm Please go to buy this battery now http://www.drillbattery.com.au/buybattery.php/metabo_BS+18+LTX_power+tool+battery. Brand New Cordless Drill Battery for BLACK & DECKER HPB12 Type: Ni-MH Volt: 12V Capacity: 2000mAh Color: black Weight: 589.02g Dimension: 109.75 x79.55 x62.20mm Please go to buy this battery now http://www.drillbattery.com.au/buybattery.php/black+&+decker_HPB12_power+tool+battery. CHARMING PRINTED BEDDING SHEETS Possibly, it is believed that the first heed for parents of small children is the shift of their little kids from cot to beds. Experts believe that this time is very important as it is of a child’s development. Child’s development is considered as a most important thing. Best Stainless Steel Paper Towel Dispenser By Velo! There are lots of different paper towel dispensers in the market, so choosing the right one can be confusing. 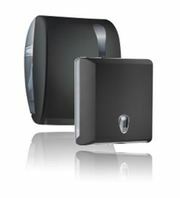 To reduce paper waste in your bathroom space, Velo offers the best range of paper towel dispensers that includes wall mounted paper towel holders, lockable toilet paper dispensers and automatic toilet roll dispensers. Dr garden provides landscaping and garden maintenance services in Sydney's Eastern Suburbs, With over 25 years experience we are the trusted choice in residential landscaping. - Sydney, NSW. Contact No -- (02) 8041 3486 Address - 15/26 Tupia Street, Botany NSW 2019, Australia Website -- https://www. Brand New Cordless Drill Battery for BOSCH 2 607 335 535 Type: Ni-MH Volt: 18V Capacity: 3000mAh Color: Grey Weight: 1036g Dimension: 132.00x86.60x111.90mm Please go to buy this battery now http://www.drillbattery.com.au/buybattery.php/bosch_2+607+335+535_power+tool+battery. MAKITA 1210 Power Tool Battery Replacement Type: Ni-MH Volt: 12V Capacity: 2200mAh Color: Grey Weight: 698.54g Dimension: 82.00x72.60x31.30mm Please go to buy this battery now http://www.drillbattery.com.au/buybattery.php/makita_1210_power+tool+battery.html Inquiry: info@drillbattery. MILWAUKEE B 1420 R Power Tool Battery Replacement Type: Ni-Cd Volt: 14.4V Capacity: 2400mAh Color: Black Weight: 995g Dimension: 112.10x84.40x68.00mm Please go to buy this battery now http://www.drillbattery.com.au/buybattery.php/milwaukee_B+1420+R_power+tool+battery. DEWALT DE9037 Power Tool Battery Replacement Type: Ni-Cd Volt: 12V Capacity: 2000mAh Color: Yellow Weight: 800g Dimension: 94.15x80.36x106.85mm Please go to buy this battery now http://www.drillbattery.com.au/buybattery.php/dewalt_DE9037_power+tool+battery. Brand New Cordless Drill Battery for HITACHI BSL 2530 Type: Li-ion Volt: 25.2V Capacity: 3000mAh Color: Black Weight: 881.3g Dimension: 130.20 x 93.10 x 93.60mm Please go to buy this battery now http://www.drillbattery.com.au/buybattery.php/hitachi_BSL+2530_power+tool+battery. PANASONIC EY9005B Power Tool Battery Replacement Type: Ni-MH Volt: 12V Capacity: 3000mAh Color: Black Weight: 700.55g Dimension: 83.62 x 81.20 x 95.64mm Please go to buy this battery now http://www.drillbattery.com.au/buybattery.php/panasonic_EY9005B_power+tool+battery. Brand New Cordless Drill Battery for AEG M1430R Type: Ni-Cd Volt: 14.4V Capacity: 2000mAh Color: Black Weight: 807.45g Dimension: 129.50 x 77.84 x 72.85mm Please go to buy this battery now http://www.drillbattery.com.au/buybattery.php/aeg_M1430R_power+tool+battery. Brand New Cordless Drill Battery for RYOBI B-1430L Type: Li-ion Volt: 14.4V Capacity: 3000mAh Color: Black Weight: 462.7g Dimension: 95.90 x 83.20 x 61.80mm Please go to buy this battery now http://www.drillbattery.com.au/buybattery.php/ryobi_B-1430L_power+tool+battery. BLACK & DECKER A1718 Power Tool Battery Replacement Type: Ni-CD Volt: 18V Capacity: 1700mAh Color: Black Weight: 789.75g Dimension: 142.19 x 78.61 x 51.97mm Please go to buy this battery now http://www.drillbattery.com.au/buybattery.php/black+&+decker_A1718_power+tool+battery. Brand New Cordless Drill Battery for MILWAUKEE 48-11-1970 Type: Ni-MH Volt: 12V Capacity: 3000mAh Color: Black Weight: 637.88g Dimension: 104.57x82.75x60.30mm Please go to buy this battery now http://www.drillbattery.com.au/buybattery.php/milwaukee_48-11-1970_power+tool+battery. 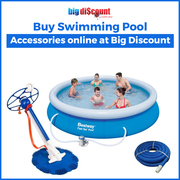 Get the best selection of swimming pool accessories and equipment from Big Discount. Our top-quality and affordable supplies and accessories allows you to follow a regular maintenance schedule and keep your pool in top condition. We offer everything you’ll need to keep your pool clean, warm, and sparkling. Brand New Cordless Drill Battery for MAKITA 6270DWAE Type: Ni-Cd Volt: 12V Capacity: 2000mAh Color: Red Weight: 785g Dimension: 84.40x93.80x102.90mm Please go to buy this battery now http://www.drillbattery.com.au/buybattery.php/makita_6270DWAE_power+tool+battery. FIRESTORM FS140BX Power Tool Battery Replacement Type: Ni-MH Volt: 14.4V Capacity: 2200mAh Color: Grey Weight: 920g Dimension: 122.60x79.00x71.70mm Please go to buy this power tool battery now http://www.drillbattery.com.au/buybattery.php/firestorm_FS140BX_power+tool+battery. FIRESTORM FS180BX Power Tool Battery Replacement Brand New Cordless Drill Battery for FIRESTORM FS180BX Type: Ni-MH Volt: 18V Capacity: 3000mAh Color: Grey Weight: 1233.23g Dimension: 145.60x78.90x72.20mm Brand NEW battery for FIRESTORM FS180BX. Quick charge with automatic constant current control prevents battery from overcharging, short circuit, and electric shock. PANASONIC EY6432 Power Tool Battery Replacement Brand New Cordless Drill Battery for PANASONIC EY6432 Type: Ni-MH Volt: 15.6V Capacity: 3000mAh Color: Black Weight: 812.5g Dimension: 105.27 x 80.97 x 51.98mm Please go to get this power tool battery now http://www. AEG BEST 9.6X Power Tool Battery Replacement Type: Ni-Cd Volt: 9.6V Capacity: 2000mAh Color: Black Weight: 500g Dimension: 104 x 63 x 67mm Please go to buy this battery on http://www.drillbattery.com.au/buybattery.php/aeg_BEST+9.6X_power+tool+battery.html. 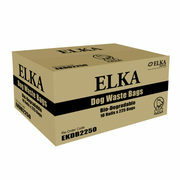 Elka Imports is 100% Australia owned and has been trading for 25 over years. We offer a complete range of paper products, garbage bags, gloves, wipes and dispensers to provide you with a one-stop solution. Are you looking for quality dog waste bags or dog poop bags at cheapest price? Don’t rush anywhere, Elka Imports is the right place for you. HITACHI CJ 18DL Power Tool Battery Replacement Brand New Cordless Drill Battery for HITACHI CJ 18DL Type: Ni-Cd Volt: 18V Capacity: 2000mAh Color: Grey Weight: 992g Dimension: 124.80 x 76.90 x 106.50mm Brand NEW battery for HITACHI CJ 18DL. Quick charge with automatic constant current control prevents battery from overcharging, short circuit, and electric shock. PANASONIC EY9L10 Power Tool Battery Replacement Type: Li-ion Volt: 3.6V Capacity: 1500mAh Color: Black Weight: 384.5g Dimension: 68 x 81 x 36mm Please go to buy this battery now http://www.drillbattery.com.au/buybattery.php/bosch_2+607+335+210_power+tool+battery. Brand New Cordless Drill Battery for BOSCH 2 607 335 210 Type: Ni-MH Volt: 14.4V Capacity: 3000mAh Color: Red Weight: 940g Dimension: 108.60x53.50x118.70mm Please go to buy this battery now http://www.drillbattery.com.au/buybattery.php/bosch_2+607+335+210_power+tool+battery. Home, garden Sydney ads Sydney, Home, garden classifieds Sydney, Home, garden free ads Sydney, ads for sale Sydney, ads to buy Sydney, FREEADSAustralia Page number 4-1. Find here ads for sale, to buy and rent in Sydney. Goods for sale in Sydney, vehicles for sale in Sydney, Sydney real estate for sale, Sydney property for sale, property for rent in Sydney, business ads in Sydney, Sydney business classifieds, services in Sydney, Sydney services ads, jobs in Sydney, pets for sale in Sydney, Sydney dating, Sydney cars for sale.